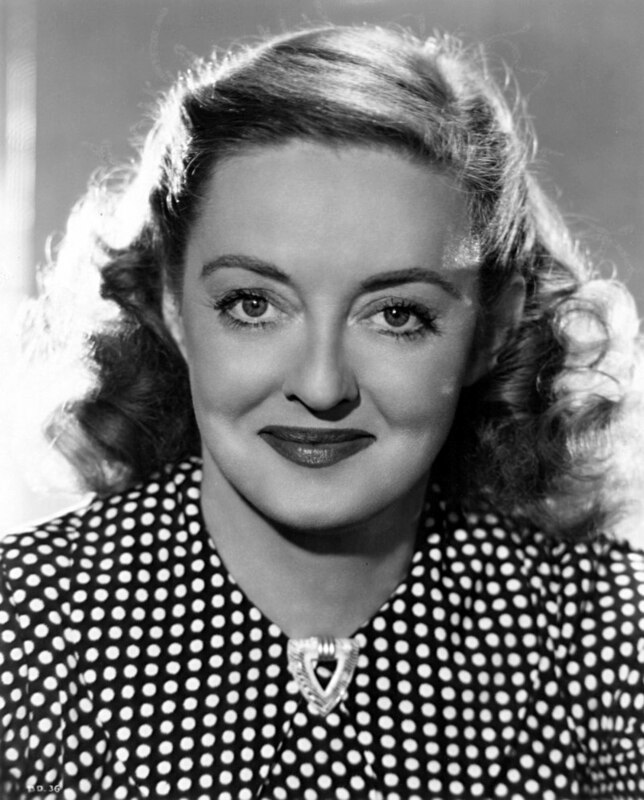 Bette Davis was an American actress. She twice won the Academy Award for Best Actress, for Dangerous (1935) and Jezebel (1938). She was the daughter of Ruth Augusta (Favor) and Harlow Morrell Davis. Her family had lived almost exclusively in New England for several hundred years. Her ancestry was English, except for some remote ancestors who were Scottish (in the 1600s) and Welsh (in the 1500s). She had three children: two with her former husband, actor Gary Merrill, and a daughter with her former husband, artist William Grant Sherry, who was later adopted by Gary. Bette was married to innkeeper Arthur Farnsworth, until his death. Bette’s patrilineal line leads to a James Davis, who was born, c. 1618, in Marlborough, Wiltshire, England. Bette’s paternal grandfather was Edward Elwood/Elwell Davis (the son of Calvin Harlow Davis and Anne/Ann P. Matthews/Mathews). Calvin was the son of Mark Davis and Abigail Stevens. Anne was the daughter of John Mathews/Matthews and Pamelia/Permelia Kimball. Bette’s paternal grandmother was Eliza Jane Morrell (the daughter of Alexander Hatch Morrell and Eliza Seavey). Alexander was the son of Josiah Morrell and Sarah Quint. Eliza was the daughter of Thomas Burnham Seavey and Kezia Hinckley. Bette’s maternal grandfather was William Aaron Favor (the son of Jacob Gordon Favor and Augusta Freeman). Jacob was the son of Cutting Favor and Hannah B. Gordon. Augusta was the daughter of Peletiah Freeman and Mary Heagen. Bette’s maternal grandmother was Hariett/Hariot/Harriet Eugenia Thompson (the daughter of Charles Otis Thompson and Harriet Jane Bailey). Charles was the son of Moody M. Thompson and Harriet A. Keys. Bette’s great-grandmother Harriet was the daughter of Benjamin W. Bailey and Latta Hopkins. Thanks. I took it off Wikipedia. You should pay me next time! I don’t see the French or French Canadian info on Wiki about her now but I do remember reading it before.